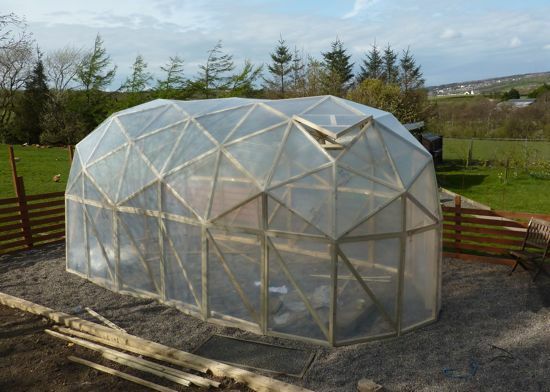 This is the first build of our new range of tunnel shaped domes, based on the GD5 3m diameter dome this dome can be extended to pretty much any length you like. The pictures below show a 3.2m X 6.6m version but sizes start from around 5m and go up 1.6m at a time. 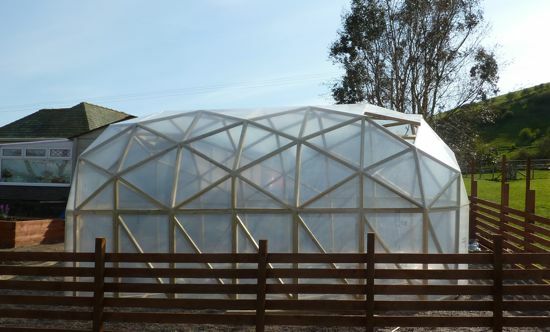 Ideal for use where a round dome isn''''t practical like over swimming pools and on long rectangular beds or if you need to expand your greenhouse just add more sections and make it longer. I will be drawing up plans for some different sizes so drop me a line if you would like something bigger.